Explore every corner of the Bay Area, wherever and whenever you want. Get there driving the all-new RAV4! The completely redesigned 2019 RAV4 at Toyota Of Tampa Bay is just as comfortable on city streets as it is conquering any terrain. That’s because Toyota has taken the RAV4 you’ve come to love and added a huge array of refinements and performance upgrades. Underneath RAV4’s rugged good looks are capabilities that reveal the potential of where you can go, on- or off-road. Featuring a Dynamic Force 2.5-liter 4-cylinder engine that produces 203-HP of acceleration, paired with the Direct Shift 8-speed Electronically Controlled Automatic Transmission, enables smooth riding no matter the speed. To add extra comfort, the RAV4’s longer, wider stance takes handling to a more responsive, smoother and confident ride level that boasts a spacious interior with a better view of the road. Toyota Safety Sense™ is a bundle of active safety features included on the all-new 2019 RAV4. At no additional cost, these innovative features were designed to help protect you and your passengers from harm. Now that we’ve explored the 2019 RAV4 features to help navigate, operate and keep you and your family safe, no matter the trim level you choose, you’ll be amazed by its intuitive safety system and outdoor capabilities. Rewrite your path to discover yourself behind the wheel of a RAV4. 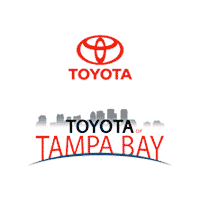 Test-drive the totally redesigned 2019 RAV4 today at Toyota of Tampa Bay.